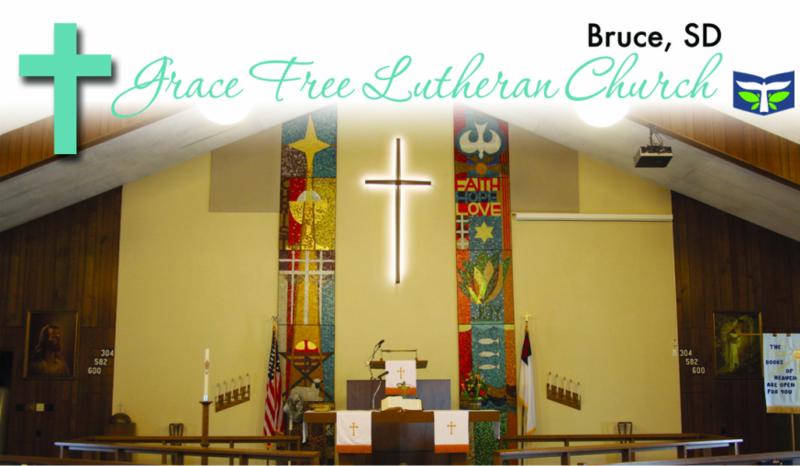 The Grace Free Lutheran Youth Group welcomes anyone in 7th through 12th grades who desire to grow their faith in a fun-filled environment. The purpose of the Luther League is to aid in reaching and training young people so they may be an active part of free and living congregations, growing into spiritually mature adults who are able and willing to carry on the kingdom's work in their midst. The League meets Wednesday evenings during the school year with recreational activities and a discussion group centered around a study from a portion of God's Word. We attempt to relate Scripture to the practical needs of the individual youth in a meaningful way. District youth activities are enjoyed with other church youth the year round. We attend a weekend retreat in Wisconsin at the Association Retreat Center (ARC) and attend summer camp at Pickerel Lake Bible Camp near Webster, SD owned and operated by our district churches. A youth convention is held every two years at the YMCA Convention Center at Estes Park in the Colorado Rockies (approx. 1,400 youth attend nationwide). Our youth also enjoy attending concerts in Sioux Falls, SD and other youth gatherings as they become available with other groups. Our group looks for community service projects and have felt the satisfaction of being a real help for people as we seek to represent the Lord Jesus. We encourage the youth to consider growing their faith following high school by attending our two year Bible School program at our campus in Plymouth, MN. We feel that providing a safe and welcoming environment is essential for the work of God to be done in the hearts and lives of our young people. As the precious Seed of God's Word is planted, watered and given a good example to follow, our young people will be able to build a solid spiritual foundation under their lives. Then they will be able to safely travel through these formative years with God's help and guidance, while preparing for a wonderful future finding the blessed purpose God has for their lives.